When good readers read aloud, they use intonation. That means they make their voice rise and fall at the right places so that their reading sounds like natural speech. End punctuation marks and commas help you know when to raise or lower your voice. A question mark, for example, tells you to lift your voice a little at the end of a question. Identifying cause and effect while reading helps the reader to identify why events happen and the results of these events. Cause and effect also helps the reader understand the relationship between events. The long i sound can be made several different ways. It can be spelled ie (tie, flies) where the e is silent. It can be spelled igh (fight, high) where the gh are silent. It can be spelled just i (kind, child). Remember that i alone can also make the short i sound (kid, bit). It can be spelled i-e (kite, bite) where the e is silent. It can also be spelled y (try, fly). 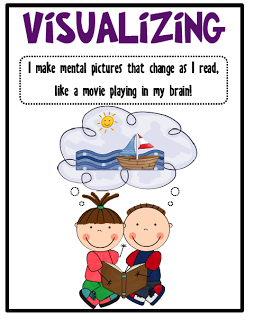 As you read, you can use details to visualize of form mental pictures of the action described in a text. Visualization brings the text to life. 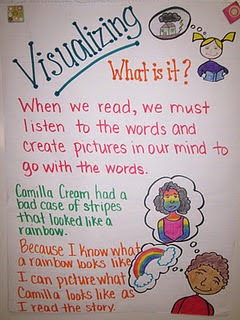 It allows us to use our senses and imagination to get a better picture of the story. A prefix is a word part added to the beginning of a base word. The prefix changes the meaning of the base word somehow. The prefix mis- can mean "wrong" or "bad."